Smarter Prototyping For Your Entire Office. For the most effective prototyping for all levels of users to get high-quality parts printed right the first time. Could the F170 be the best choice for you? Let us help you decide. Technical Support. Telephone support from 8:00AM – 5:00PM EST Monday through Friday. Software Upgrades. Includes copies of Mojo, uPrint, Dimension, Fortus, and Objet software released during service period. Replacement Parts. Includes exchange of faulty replacement parts for uPrint, Dimension, Fortus, and Objet hardware. All parts are included except consumables such as replacement tips and base trays. No Time and Travel Fees. Annual Hardware Check. Includes system cleaning and inspections. Back-Up Printing. No cost for printing parts in the event of machine failure, material costs are not covered. PolyJet Print Head Preplacement. One print head replacement desktop printers at no cost. 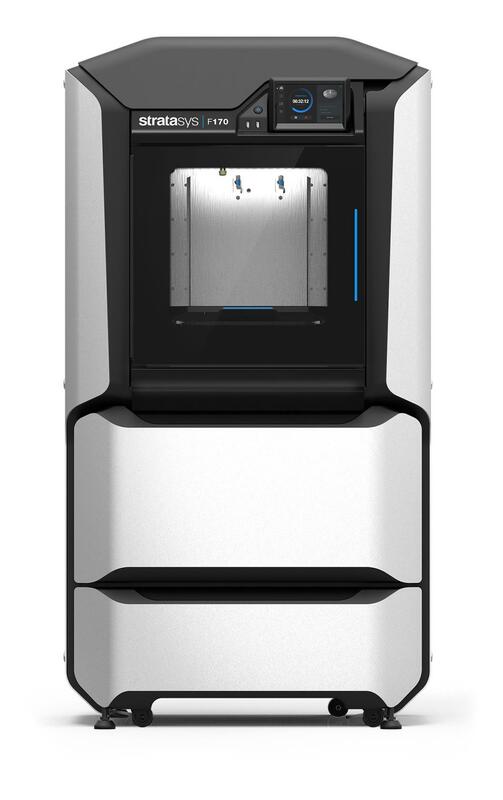 If you’re looking for a cost-effective way to improve your designs and reduce risk using in-house 3D modeling, the F270 could be the best choice for you. Let us help you decide. Create more accurate and functional prototypes with multiple layers and a large build size option. Even for your earliest design iterations, the F370 could be the best choice for you. Let us help you decide.